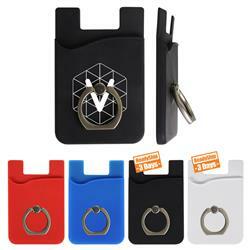 Custom iWalletRing - Combining the functionality of a ring holder and wallet in one, the iWalletRing is a must-have mobile tech accessory. 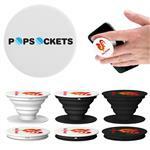 Featuring a rubberized plastic wallet with metal ring attachment, the phone grip holds several cards at once and serves as a phone stand and holder. 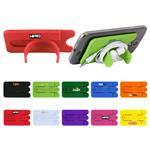 Attach to the back of a mobile device or tablet for functionality and increased brand awareness. 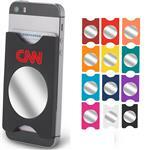 3.5" W x 2.25" H x 0.35" D. A great affordable tech promotional item and trade show giveaway! Production Times Available: 5 working days standard up to 1000 pieces. 3 Day Available.